When piCture pOlish asked me if I wanted to review some of their shades, of course I said YES! I have built up quite a little collection of piCture pOlish in the last few years between two blog fests and a few overseas swaps. I really love everything from them that I have, so I knew whatever they sent would be fabulous. Well, I could not have been more correct and I have the first one to show you all today. 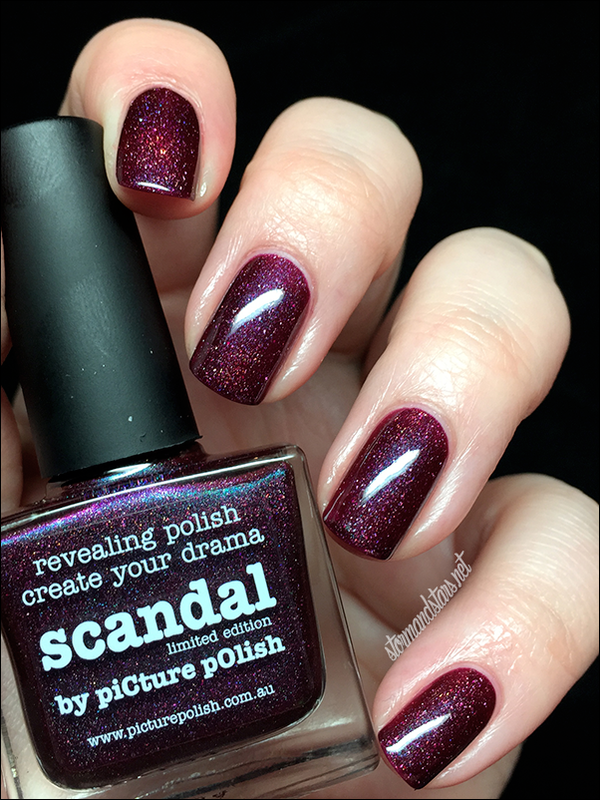 Say hello to piCture pOlish Scandal! 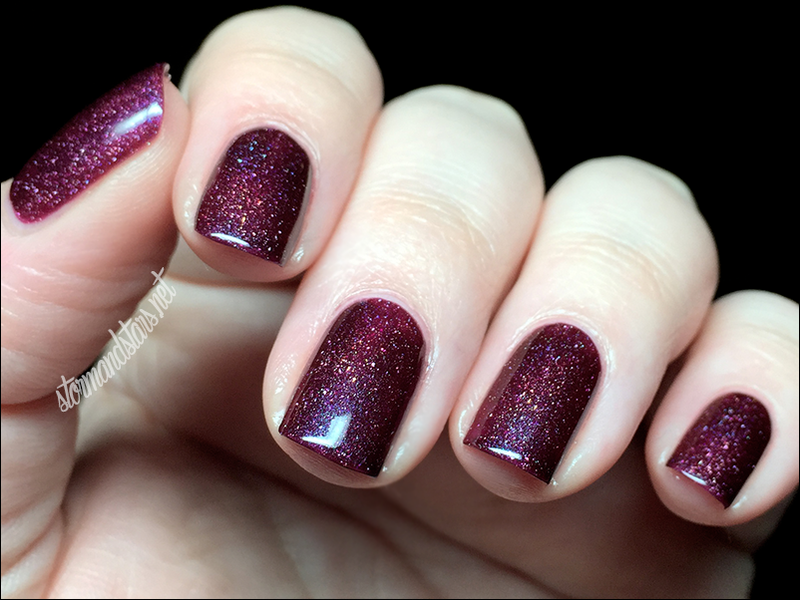 Scandal is a deep purple toned burgundy polish with a ton of shimmer, scattered holo and just a hint of a blue/green color shift in the shimmer. 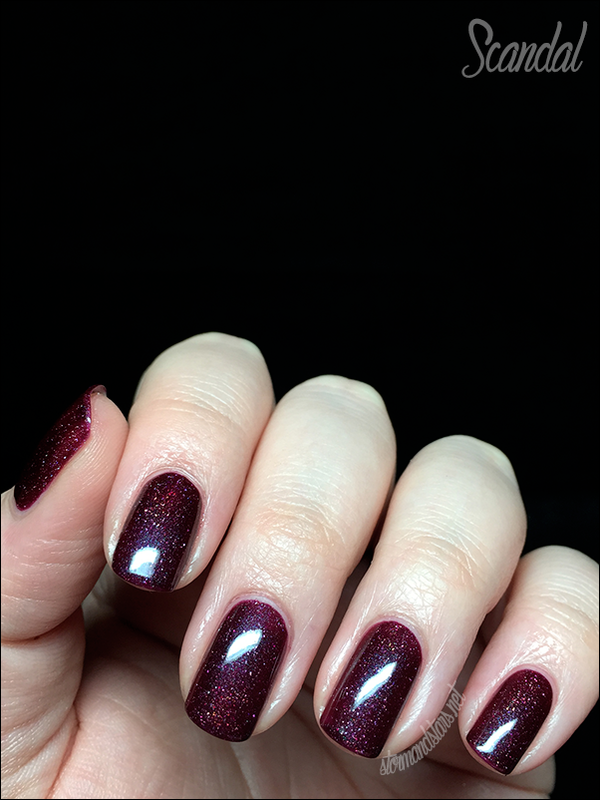 The formula of this polish is absolutely superb. I used two super easy coats for this level of opacity and it really just went on like a dream. 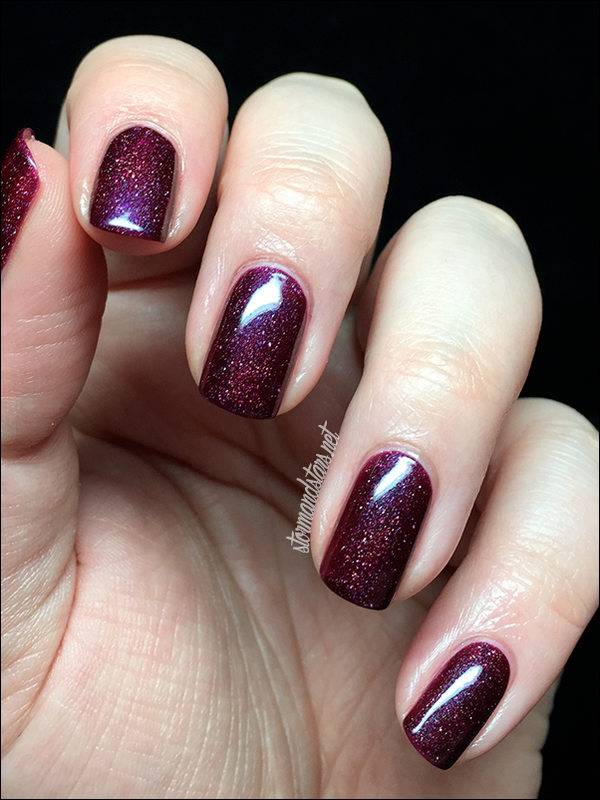 Usually when I swatch I move right on to the next polish, but I love this so much that I wore it for almost a week. It held up really well and I really only had tip wear by the time I took it off. I can see myself reaching for this lacquer a lot in the fall months. 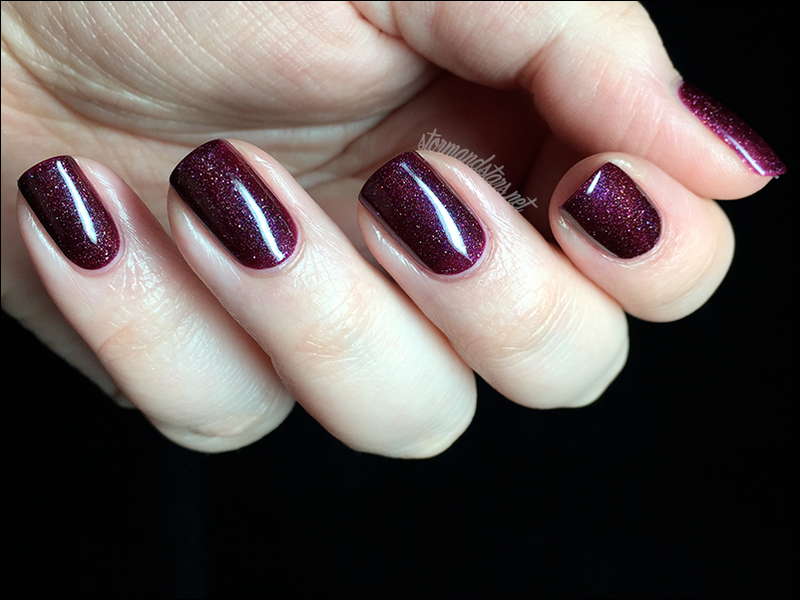 Fall is my favorite time of year and this polish is perfect for those crisp fall days. Do you have any piCture pOlish? Tell me what you think in the comments below! You can purchase this and other shades directly from piCture pOlish or from one of their International Stockists. Don't forget to follow on social media to keep up to date on new collections and the latest shades and swatches. Wow! I'd love to get my hands on this!